Introducing Our New Batman News Roundup -- Batfan Friday! Gotham City is a busy place. And the Dark Knight is a guy who, more often than not, has his hands full. Which means you've probably got your hands full too, just trying to keep up with the adventures of Batman and his extended family of crimefighters. Never fear! We here at DC Universe won't leave you to fend for yourself on the mean streets of Gotham. We're collecting all the Batman updates a Batmaniac could ever need, and bringing them from the heart of the Batcave to you. 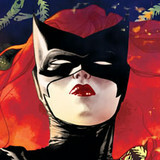 Join us here each and every week for a complete breakdown of all the latest Bat news. From comics to collectibles, from movie screens to TV screens, and beyond. Welcome to the first installment of Batfan Friday. 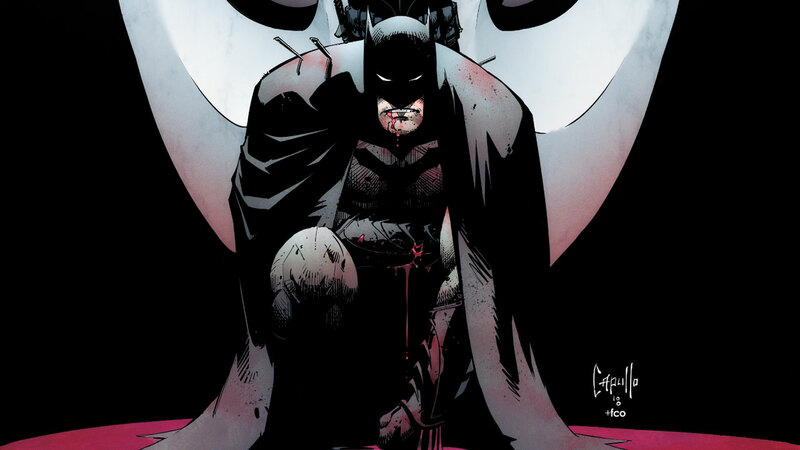 Celebrate the Dark Knight (and DC Universe) with Batman Day! That's right, not only is this our first official Batfan Friday. Not only are we launching DC Universe this weekend. It's also Batman Day, an annual mega celebration of the Dark Knight. And you're in luck because you've now got access to some pretty great ways to celebrate in style. You can pick up the brand new BATMAN: COURT OF OWLS ESSENTIALS EDITION which hit shelves just in time for the festivities and includes the first eleven issues of Scott Snyder and Greg Capullo's iconic New 52 run. Or, if you're in the mood for something a bit more offbeat, you can check out your local comic shop for a copy of the BATMAN: WHITE KNIGHT BATMAN DAY SPECIAL EDITION #1 which hit shelves last week for free. That's right. We said free. 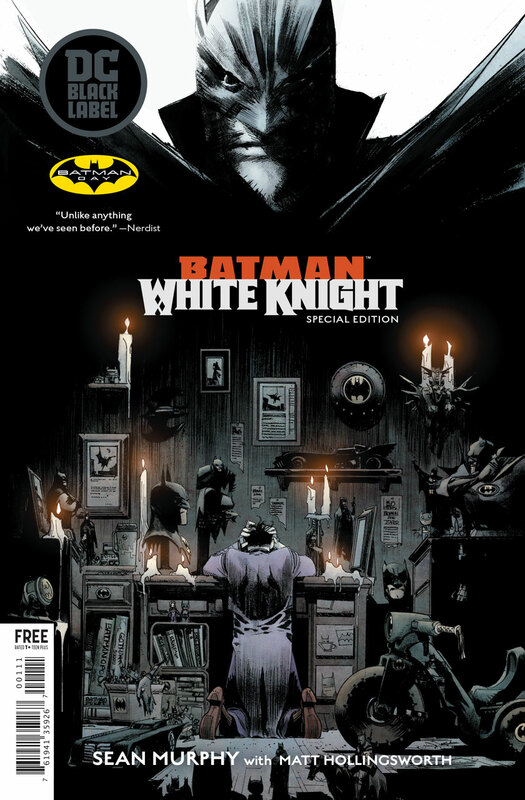 This special edition of the first issue of writer-artist Sean Gordon Murphy's Batman: White Knight limited series is the perfect way to sample a brand-new, alternate universe take on Gotham City, in which Bruce Wayne is wanted by the police and The Joker and Harley Quinn have gone straight. Did you catch the epic conclusion of the "On The Outside" arc two weeks ago? We hope so, because this is no time to stop and smell the roses -- Detective Comics is barreling ahead with a new creative team, starting in DETECTIVE COMICS #988! Writer James Robinson and artist Stephen Segovia have taken over the book, with a murder mystery that…might just be a simple murder? It's pretty unusual for the Caped Crusader to take the time to investigate what could be handled by the GCPD. Then again, when has anything in Gotham ever been what it seems? 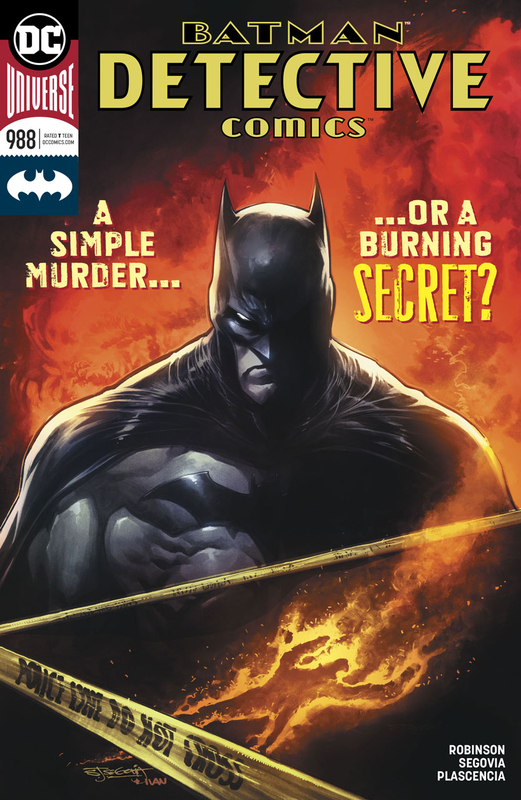 This is the place you'll want to go for a classic, back-to-basics Batman mystery with a few added twists and surprises from a powerhouse creative team. Jason Todd's time with a team has come to a predictably rocky end -- hey, at the end of the day he's just not much of a team player! Now, the Red Hood is flying solo again, announcing his movie with a new look. 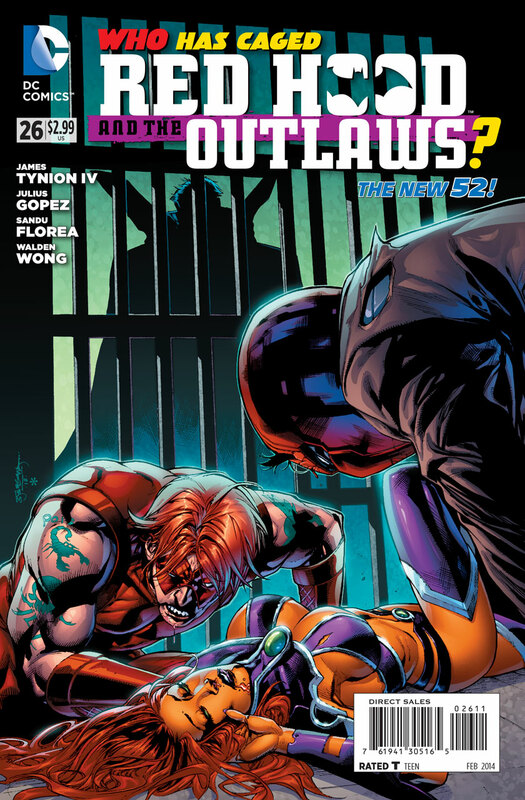 His new costume is designed by artist Pete Woods, who joins writer Scott Lobdell as a regular artist on RED HOOD AND THE OUTLAWS #26. Jason is set to cut a brutal swath across the country -- as far away from Batman as he can get. Never mind "the Outlaws" in the title, this is a chapter in Jason's story. Just announced from DC Collectables -- a line of 7'' statues featuring the evil Batmen of DARK NIGHTS: METAL. That's right, the nightmare creatures of Bruce Wayne's quest through the Dark Multiverse are ready to come home to your figure displays, including The Drowned, The Red Death, The Dawnbreaker, The Murder Machine, The Merciless, and The Batman Who Laughs as well as a Batman statue complete with the one and only Baby Darkseid. The statues are designed after the art of DARK KNIGHT: METAL artist Greg Capullo, and will begin hitting shelves around May of next year, with Dawnbreaker (pictured above) leading the charge. Keep your eyes peeled for more news right here as it breaks. Nightwing suffers some major setbacks, Bruce continues to cope with his losses, and Babs learns that homecomings can have a high price. All that and more, right here at Batfan Friday. Same Batfan-time, same Batfan-channel!